(2)(Black), Tap, Discard a card: Each other player loses 2 life. You gain life equal to the life lost this way. Rogue_Toaster I'm not sure how many of them are really worth it but I've been eyeballing a few for awhile. In theory they are pretty nice since you just cage whatever is discarded. 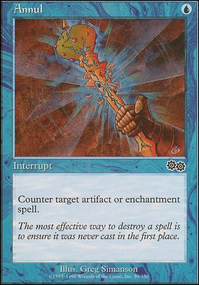 I like Hammer Mage and Alexi, Zephyr Mage. 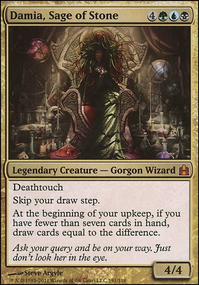 Even Urborg Syphon-Mage and Dreamscape Artist might be decent. There could be some other nice ones like Stronghold Machinist that you mentioned. I am more interested in adding additional "card advantage". 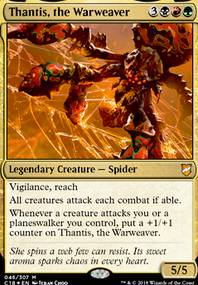 Something like Stitcher Geralf would likely be a better inclusion than most spellshapers since you have the potential to get into more cage targets faster. The discard part of their cost is neither advantageous nor disadvantageous as long as you discard something that could be caged. Usually when I see decks that are struggling to get their decks down to 60 cards I always look to the top of the curve. You have three 7CMC spells and two 8CMC spells. While these spells tend to be very powerful in most cases, they are also very difficult to cast outside of have Magus of the Coffers or Crypt Ghast out (which is slim since they are only 2 cards out of a whole deck). If you trim the fat off the top end of the deck you can then reliably go down some number of lands as well. Since you still have numerous five and six drops I would probably stick around 25 lands. -5 lands and -5 spells at the top of the curve means you only have to cut 3 more cards to get to 60! 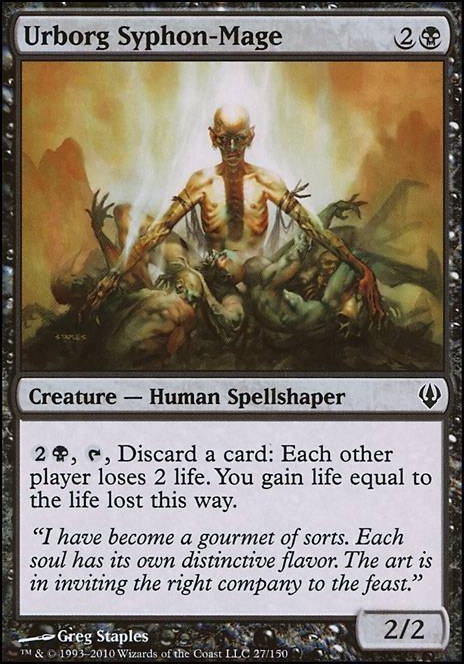 If I simply had to choose the 3 cards to come out I think it would be Tempt with Immortality to keep your opponents off the big creatures you made them discard, Blood Tribute because its a bit expensive for the effect, and Brain in a Jar because I'm not sure you have enough instants/sorceries for it to be efficient. I think you will find that after cutting some top end stuff and lowing the land count, your deck will feel a lot more smooth, less clunky, and efficient. 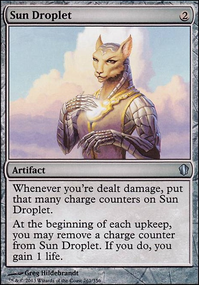 I usually use a suite of artifacts help offset discard effects like Neheb's: Fool's Tome, Bottled Cloister, and Gustha's Scepter. 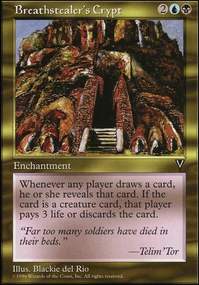 With a deck like Bulls on Parade, I'd be far more concerned with the near-constant loss of life from cards like Phyrexian Reclamation, Blood Scrivener, and Asylum Visitor. I've used Trading Post and Urborg Syphon-Mage in the past to gain and still stay on-theme. Also, I've had far more luck with Chain of Smog over Delirium Skeins, especially in multiplayer. Good luck hellbending!